Those who know me know that I’m big on content. As well as authoring the book Content Machine I also try to live by the adage of being a living, breathing content machine. And in this article I’m going to let you know how I do it and why I believe it’s important. Before I do that, I should say that I’ve never been a big fan of focusing on putting out a lot of content. In the book I talk specifically about focusing on quality and not quantity. In the past whenever I’ve done lots and lots of content, it’s been in short bursts and I generally don’t think it’s good advice for people. That is, unless you have already got a good handle on what your audience wants. This is the big challenge. A lot of people are still stuck in a space where they really aren’t getting traction on their existing content. If you aren’t getting traction on your current content, I don’t think it makes sense to do more of it. I think you have a bigger problem, which is you either don’t yet understand how to create high quality that your audience wants, or you don’t have the distribution (probably the former). But this article is for you, if you are getting traction with their content. You understand your audience, what they want and all you want to do is give more of it to them. I have recently found myself in this position and I’ve decided to go from 1 piece of content per week, to 50 pieces of content per day. Not all big long blog posts of course. But the type of content that today’s modern apps let you create in bulk, at speed. And more to the point – the type of content people are desperate for right now. Since Content Machine was released in 2015, things have changed a little bit. In particular there have been huge changes in social media. One of the biggest changes is the sheer volume of content you can produce now, and you arguably need to produce in order to get the attention of your audience. You can live stream directly to Facebook with just your phone. You can create little stories on Snapchat, a platform which has emerged as a major player in online content, now generating 10 billion video downloads per day! Once you know what your audience wants, it’s no longer enough to put out one piece of content per day. For me personally, I’m doubling down on what I think is a huge opportunity. I’m refining my processes around creating bulk content, hiring more people, changing my daily routine and going in hard on these emerging social networks. Gary Vee talks about the concept of attention, not impressions. It’s pointless pumping out lots of content if you don’t grab people’s attention and get them to engage with it. Whilst having 40,000 Instagram followers can give an impression of effective social reach, if people don’t actively absorb your content on the platform then the end result is nothing but smoke and mirrors. So now we’ve established that volumes of attention-grabbing content is key, let’s look at some strategies for getting it done. These are some of the ways I go about pumping out 50 pieces of content a day. Yearly brainstorm – every year I write down 260 general topics that I’d be confident talking about. I had my VA Francis type of all of the ideas into Google docs (I feel for him, look at my writing!). Then I had him add one idea per day into my calendar and set me a reminder for 7:00am. It means when I get up and walk to the coffee shop, I’m prompted with a content idea for the day. I will often do snaps about this, or do an Anchor wave to get me to start thinking about the topic. I use Trello for documenting any rough content ideas and I monitor my 7 Day Startup Facebook group for ideas as well. When an idea emerges as being a possible rich blog post idea, I have a process for that as well. I first record an audio call on the Rode Rec app (using a Rode Smart Lav mic), and sync that file to Dropbox. Using Zapier that creates a task in our Trello board so when my Content Writer Anthony comes in, we have a piece of content to start with. Anthony will write up my thoughts and do more research to build the post out. We will often post it in the group for more ideas, before we refine the post and get it ready for posting. The idea factory results in daily content on Anchor and Snapchat, conversations in the Facebook group and at least 1 in depth weekly post on the blog. Video content has exploded across many social media networks. Technology giant Cisco recently forecast that by 2019, video will account for around 80% of all internet traffic. Snapchat users alone watch 10 billion videos per day! Instagram recently upped their video delivery offering to closely match that of rivals such as Snapchat and Vine. As well as now having 60 seconds videos (up from 15 seconds) Instagram also now lets iPhone users compile clips together in a similar way to Snapchat’s Stories. Facebook know the score too, with Facebook Live set to be a real game changer for them. So you need to be using video delivery platforms and apps like Snapchat and Youtube if you want to be reaching people most effectively now. And just watch your daily post tally rise through the roof! Here are a few specific ideas that I’m trying. Use the idea factory to do daily videos on Snapchat around a content topic area. When recording The 7 Day Startup Podcast and Operation Brewery I’m also simultaneously live streaming the session via Facebook Live via my Dan Norris Facebook Page. The engagement on some of those posts has been, great with some getting a reach of over 8,000! When I’m interviewed on podcasts, I’m recording myself on video here and working on re-purposing the content into my own videos. I’ve started doing timelapse videos in Instagram for any key events around the brewery. I’ve also started sharing more entrepreneurial videos on Instagram. My VA Francis can now edit the videos down to 60 seconds and upload them for me. I’m also keen to do longer form high-production-quality videos. So far my efforts have failed but I’m not giving up just yet. The biggest barrier is obviously the cost of production and the level of friction present when creating a 20 minute video. Until I get my own videos sorted, check out this thread in the Facebook group about which other ones to check out. My favorite is Gary Vee’s Daily Vee Videos. I like Snapchat..a lot! It has it’s finger on the pulse when it comes to delivering effective and evolving video content, which as we’ve already discussed is massive for getting your content out there. I try to pump out between 10 and 20 snaps a day, a lot of these being snappy video grabs – it’s simple, easy to use and let’s me create and deliver it quickly, which is an important consideration in the life of a time-challenged entrepreneur. If you’re not already spruiking yourself heavily on Snapchat, my suggestion is to do so immediately, it’s one of the fastest growing social media platforms out there. There’s plenty of ways of increasing your Snapchat following, such as taking over someone else’s Snapchat account. Delegation is an important consideration when it comes to delivering the volume and quality of content you need. The reality is you’re probably not going to have enough time to produce and/or deliver all of the content on your own. As an example, I aim to output 50+ pieces of content per week on Instagram, and for this I’ve delegated responsibility to my VA Francis. You can see my exact process in this article. I use both my 7 Day Startup Open and Pro Facebook groups to output plenty of new content each week, particularly around testing out new ideas and generating discussion around relevant topics. Outputting quality content via the Open group can also be an effective way of driving memberships to the 7 Day Startup Pro business and is another example of delivering regular effective content to grow your business. As previously mentioned I’m also using Facebook Live to streak podcast interviews. And I have a Facebook page which I post on personally and through automated posts with Edgar. I also post some of my Instagram content from Instagram to my personal Facebook profile. Creating a quality blog post or article can be a time consuming process, but blog posts have always been my best content so I make the effort to get them out. I like to output articles across all of my projects, and aim to deliver one detailed post per week across my WP Curve, 7 Day Startup and Black Hops Brewing sites. For this site Anthony writes my posts either from audio files, or from notes or just working back and forth with me on an idea. Podcasts may not be high volume content generators, but from a variety and effectiveness perspective they deliver the goods and are a great value-add to your content machine mix. I’m quite active on the podcast front, whether it’s creating my own or doing interviews on other shows. With my Black Hops Brewery project, we’re now up to episode 9 of a 10-part podcast series which tells the story of the ongoing evolution of the Brewery and Cellar Door as we ramp up to launch. I also now have my own 7 Day Startup Podcast, where I’m up to my 5th episode. Look for opportunities to be multi platform with content delivery wherever possible. It’s efficient and also gets your message count up there quicker. When I’m doing a podcast I’ll also look to be live streaming on Facebook Live at the same time. I also try to record myself on video when I’m being interviewed on other podcasts. Another thing I’ve started doing is to snapchat myself while giving answers on a podcast. This can sometimes be challenging but it’s great for delivering the inside story, which is something that viewers love. I’ve seen guys like Gary Vee do this from stage! This is Dan’s assistant Francis here. Dan is a no for this one. He does love doing podcast interviews however he get less and less time to do them these days. When he does have time available, he generally says yes to shows with over 50 episodes and that represent a great fit for his message. Best of luck with the show and thanks for thinking of Dan for your show. Promoting your content is vital for ensuring your key messages gain traction. You can create the world’s best content but it will be useless unless it’s given maximum opportunity to be consumed by your audience. 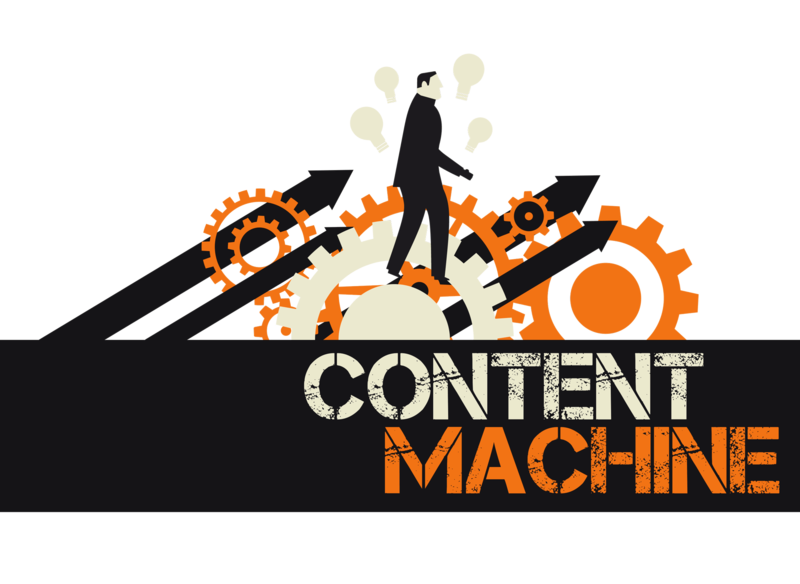 There are some great tools out there for scheduling your content. Buffer is a great tool for automatically sharing content on social media. I like to create 10 tweets for every blog post, and Buffer allows me to auto schedule these tweets so that they’re pumped out on a regular basis across a number of weeks. I also use Edgar for delivering one recurring tweet promoting the blog post every few weeks, provided the content I’m sharing is ‘evergreen’, ie. content that is relevant long past it’s initial publish date. I also email my list each week using Drip, letting them know about the week’s article. As a final point look to stay ahead of the game by pumping out content on new platforms that suit your output or strike a chord. But remember to adhere to the 70:30 rule in delivering the content elsewhere to bring people across to your newest platform. I recently applied this concept in doubling my Snapchat followers in a week, which I wrote about here. I hope you liked this post. I’m sharing content like this each week in The 7 Day Startup community, which is a free Facebook group fast approaching 7,000 members. Click here for free access. Can’t wait to see you there! And as always I’m interested in finding out your thoughts on our weekly topic via the comments below. So let me know your experiences and if you’ve found any of these pointers helpful. p.s. 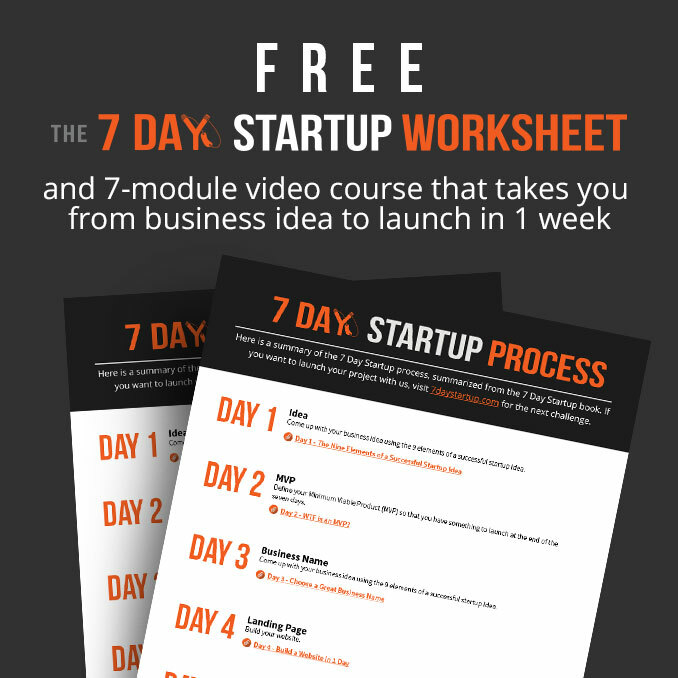 The next 7 Day Startup Challenge is 12 July. Why not use it to create a whole bunch of content? Register for free here. Keep up the great work brotha!